The National Academy of Education (NAEd) announced today that Penn GSE professors John Fantuzzo and Laura Perna have been elected to join the National Academy of Education, an organization dedicated to advancing high quality education research and its use in policy and practice. Fantuzzo, the Albert M. Greenfield Professor of Human Relations, analyzes public and private data to better understand student experiences in and out of school, including factors likely to put children at risk, and policies that can build resilience. He is a pioneer in the use of comprehensive state and local integrated data systems for research and planning. Fantuzzo directs the Penn Child Research Center at Penn GSE, and is the co-director of the national Actionable Intelligence for Social Policy Network. 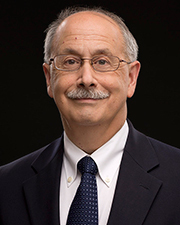 Perna, the James S. Riepe Professor, is an expert on college access and affordability, with a special focus on low-income, first-generation, and non-traditional students. She co-founded and is the Executive Director of Penn GSE’s Alliance for Higher Education and Democracy (Penn AHEAD). Perna studies federal and state involvement in pre-college and college education, and she is currently building the first comprehensive database examining College Promise programs. The pair join Penn GSE Dean Pam Grossman, Professor Vivian Gadsden, former Dean Andy Porter, Professor Emerita Diana Slaughter-Kotzin, and Penn President Amy Gutmann, a secondary faculty member of Penn GSE, in the Academy. Fantuzzo and Perna are among 16 newly elected members who will be inducted to the NAEd in November. “This diverse group of scholars are being recognized for their extraordinary contributions to education research and policy. These leaders are at the forefront of those helping to improve the lives of students in the United States and abroad,” said NAEd President Gloria Ladson-Billings. NAEd members are elected on the basis of outstanding scholarship related to education. Nominations are submitted by individual Academy members once a year for review and election by the organization’s membership. In addition to serving on expert study panels that address pressing issues in education, members are also deeply engaged in NAEd’s professional development programs such as the NAEd/Spencer Postdoctoral Fellowship Program and the NAEd/Spencer Dissertation Fellowship Program. Laura Perna is quoted on what state policymakers should consider when establishing or expanding college promise programs. Pam Grossman writes about renewed interest in project-based learning and how the approach could be uniquely suited to preparing students for the future.